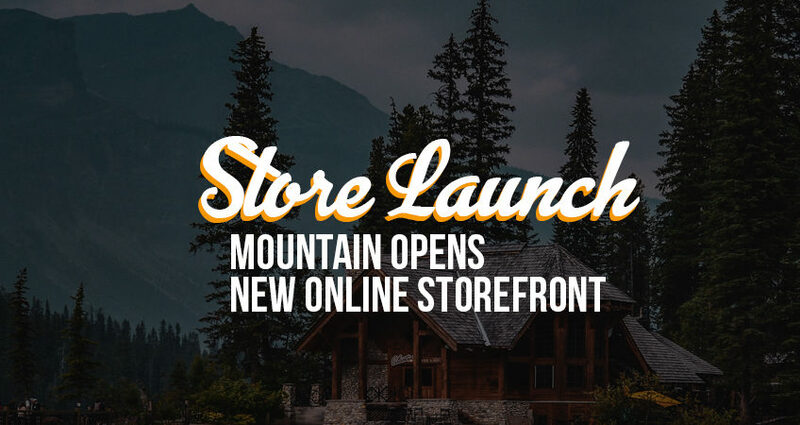 MOUNTAIN Launches New Storefront - MOUNTAIN, LTD. When we launched the new website back in August of last year, our goal was to have a storefront of our own where we could offer custom-designed MOUNTAIN-ware to everybody. The MOUNTAINeer Shop is now open for business! Currently, we have a lot of closeout items that have been lingering at MOUNTAIN HQ that we are offering at a reduced rate (hats, sweatshirts, jackets, etc. ), as well as some new products (our stylish neon green snapback hat, for example!). Some of these items only come in certain styles and colors due to inventory closeout, so check out what we have in stock. Our goal is to keep the shop fresh and exciting, offering new designs and new products throughout the year. All of the designs are made in-house and are screen-printed with a local company near HQ in New Gloucester, Maine. Over the last year, we have been designing some retro-style clothing, banners, mouse pads, bumper stickers and more to go with a MOUNTAIN theme to celebrate our 40th anniversary happening soon. These products can be seen around our offices, at expos and tradeshows, and in the communities of areas we work. We wanted to offer some of these products to you as well on the MOUNTAINeer Shop. Let us know if you have ideas on what you would like to see featured in the shop, and we will do our best to offer new and exciting products! MTN Design Prototypes for new merchandise and swag.